“Chivvis Moore takes us on a striking journey, one that is fascinating, eye-opening, and ultimately heart-breaking -- initially as a fresh-eyed newcomer working in a 1970’s community in Cairo that most Americans have never seen -- to life in occupied Palestine, before and after the 2nd intifada. Living in the latter for eleven years, though always an outsider, Chivvis leads from the heart -- earning hard-won bonds of respect from Palestinian neighbors, students, colleagues. Honest, unassuming, and vulnerable, she asks the hard questions. 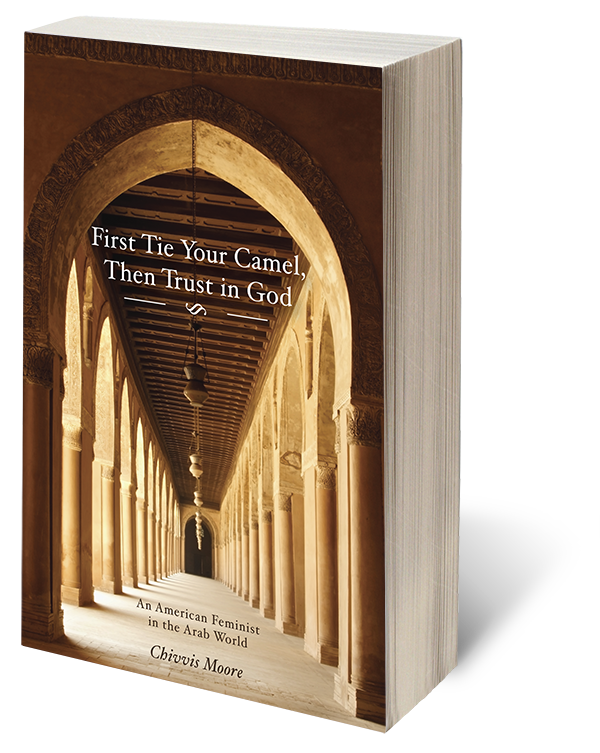 “Chivvis Moore has written an insightful and refreshingly modest and respectful account of her 16-year sojourn in Arab lands, principally in Egypt and Palestine. There she experienced the effects of the Israeli occupation on her own life, and served as witness to its impact upon Palestinian friends, colleagues and neighbors.